Amid all the sport going on in schools, it could be easy to overlook the co-curricular achievements of students off the soccer field or athletics track. 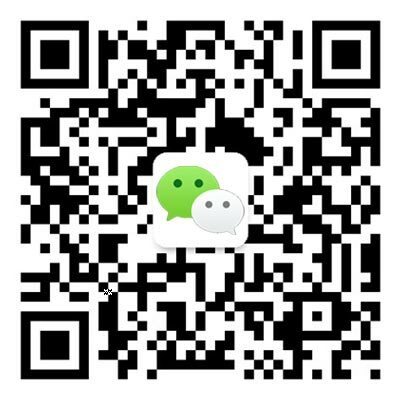 The International School of Beijing (ISB) ensures that doesn't happen through, among other initiatives, enough reading and creative writing clubs to please any bookworm. Participants even get to compete. Two amazing eighth graders, Christina M and Katherine Z (pictured above), submitted their writing to the Scholastic Art and Writing Awards (a top U.S. National/International Writing Competition) in November of 2018. Shortly before Spring Break, the results came in. Due to their talent and passion for reading and writing, Christina received a "golden key," a "silver key," and an honorable mention for her prose. Katherine received a silver key, as well as an honorable mention for her poetry. These awards allow them entrance to National and Regional competitions throughout the U.S., as well as publication within Scholastic compilations. More importantly, they got acknowledgement for achieving in a field they love, and for making time for creativity within busy lives. Both Christina and Katherine have a deep love of the written word. They are voracious readers as well as creative writers who want to be career authors. 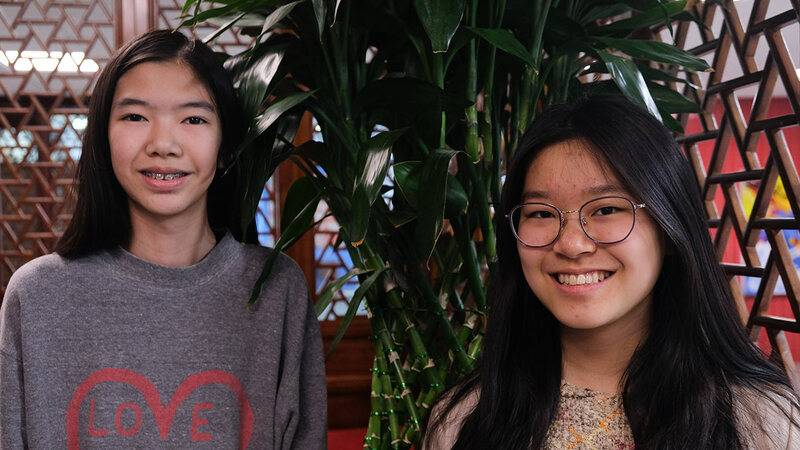 While keeping well ahead with their coursework, both girls have crafted some of their creative writing during school hours, in Inkspill, the Middle School literary magazine and creative writing enrichment. "[Inkspill] contributed to our submissions greatly because we are students and do not find much time outside of school to pursue our passion of creative writing," said Christina. She and Katherine edited and submitted their work during Inkspill with their teacher's assistance. Inkspill is known at ISB for creating the Middle School literary magazine, but as noted above, students in this class also have time to experiment with their creative writing skills and submit their work to the magazine or blog as well. Anyone in the Middle School can submit work to Inkspill and it is a great forum for showing off a range of writing and artistic skills – fiction, non-fiction, poetry, artwork, and photography can all be turned in to the magazine. Inkspill has both an online version and a print magazine – the latter only coming out once a year, but the blog is continuous, thus allowing for submissions all year round. In addition, Christina and Katherine both participated in Kidsread, the Middle School reading competition – and they helped the team (pictured above) finish in second place! 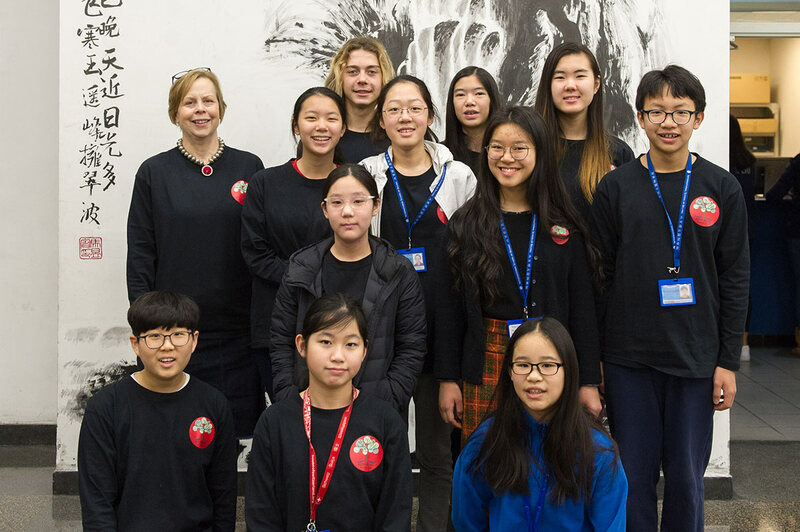 For Kidsread, ISB hosted nine schools from China (seven from Beijing, one from Dalian, one from Qingdao) in February. Kidsread has been part of the Middle School at ISB for 15 years and was started by current High School librarian Nadine Rosevear. Students sign up for the genre-wide reading competition in August and commit to Wednesday lunchtime meetings. At the start of the year, booklists are distributed, groups are formed and students read and get to know 10 genres of popular young adult fiction by the time the competition takes place in February. They face a fun quiz to test their comprehension of the books. Students are also responsible for writing questions that are used in the competition. Only eight students take part in the actual competition, determined by a test given about one month before the big day. For the past two years, ISB has hosted the event and all students who participated also helped welcome the guests and performed various tasks during the hosting. Next year, the event will move to Dalian. Kidsread and Inkspill are both places for readers and writers to gather and find community, and sometimes (while not the ultimate goal) win honors for their hard work. Christina and Katherine will continue their writing. As Katherine summed up, "For us, reading and writing truly are the keys to another world and we are happy that ISB supports us in our passion!"